For around 170 pound you can experiance the thrill of racing. Here you'll learn all about my racing exploits including the ups and the downs. Hopefully we will keep you updated with results throughout the coming season. Plus any other relevant news. We have constructed this website to promote ourselves and to hopefully gain some publicity for our sponsors. And maybe gain a few more.You will be able to follow us through the season keeping up with all the news. 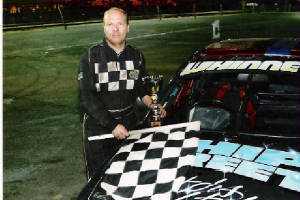 We are currently trying to put a budget together to race a Stock Rod in 2008 and a big sponsor may be on the cards. You will have to watch this space. WHAT IS A ROOKIE ROD?